The GA Carreck Archive provides an unrivalled record of the Geologists’ Association from its earliest days to the present. Dedicated to Marjorie Carreck (GA Archivist from 1955 to 2010) the Carreck Archive comprises a mix of albums, loose photographs, letters, postcards and associated ephemera. It particularly brings to life the field excursions of the GA; the places visited and the people visiting them. It is this mix of geological record and social history that makes the Carreck Archive unique. The Archive has undergone a complete restoration (funded by the GA Curry Fund) and is now housed with the British Geological Survey in Keyworth. 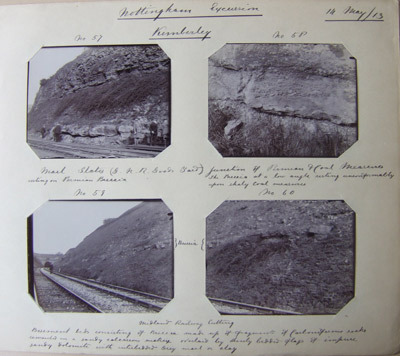 The Archive is being digitised by the BGS and a number of albums are now available to view on the BGS Discovering Geology website. Over the coming months we plan to present more information on the Carreck Archive, its history and content including a Carreck Archive blog and new online albums from recent GA Field Trips. This will make it more accessible and we hope will encourage people to use the Archive and consider making new donations. Larwood, J.G., 2014. New life for historic geology archive. Earth Heritage, 42, 19-20. Larwood, J.G., 2016. 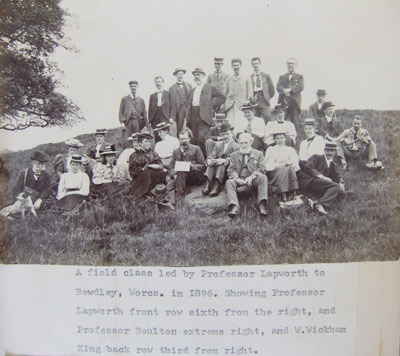 Geotourism: an early photographic insight through the lens of the Geologists’ Association. In: Hose, T.A. (ed. ), Appreciating Physical Landscapes: Three Hundred Years of Geotourism, Geological Society, London, Special Publications, 417, 117-129.